Mortuary College? Ever wondered about the training required to become a Funeral Director or Licensed Embalmer? 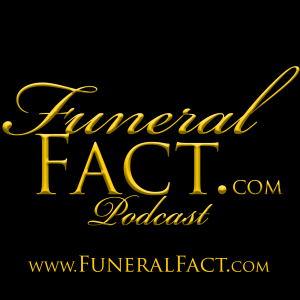 In this episode of the Funeral Fact Podcast, host Jeff Kasper interviews Dr. Joseph Marsaglia, Dean of Faculty & Students and Chief Operating Officer for Pittsburgh Institute of Mortuary Science in Pittsburgh, PA, USA. Topics include: What's involved? Do you earn a degree? How do I get in? Can I enroll as I'm changing careers? How long is the program? Do I have to go full time? Are there night classes? What about online options? Can I get a student loan to help with my tuition? Exactly what classes are required or involved to earn my degree? and many more! You will gain a full understanding of what's involved and the commitment necessary to graduate from a college of mortuary science. Please subscribe and rate this podcast in either the Google Play Music or iTunes store. Don't forget to visit our website at http://www.FuneralFact.com where you will be able to submit questions, suggest possible topics for future episodes and much more.